It’s impossible to talk about Coachella without talking about the fashion. Coachella 2019 officially kicks off the summer concert season—and unofficially marks the start of summer style. Although the true stars of the show are the ones on the stage , but Coachella is becoming more and more famous for its celebrity style looks. It’s pretty safe to say that this years celebrity fashion looks did not disappoint. From whimsical, to bohemian, classy and Insta-friendly and whatnot, we’ve had all the looks in just one festival. Coachella officially kicked off on April 12 this past Friday, and its pretty much off to an epic start. Weekend one of Coachella 2019 is a wrap, and what a weekend it was. Ahead are some of the best celeb looks from Coachella’s first weekend, guaranteed to inspire your summer wardrobe. Vanessa Hudgens is known for being the queen of Coachella style. for one of her looks , she goes full summer boho in an off-white bralette and skirt. Model Gigi Hadid layered a pink-and-orange tie-dyed vest over an all-white ensemble. 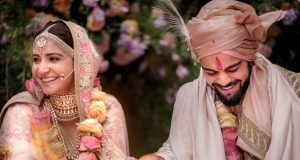 She accessorized the look with an array of colorful layered bracelets and necklaces, and mismatched earrings. 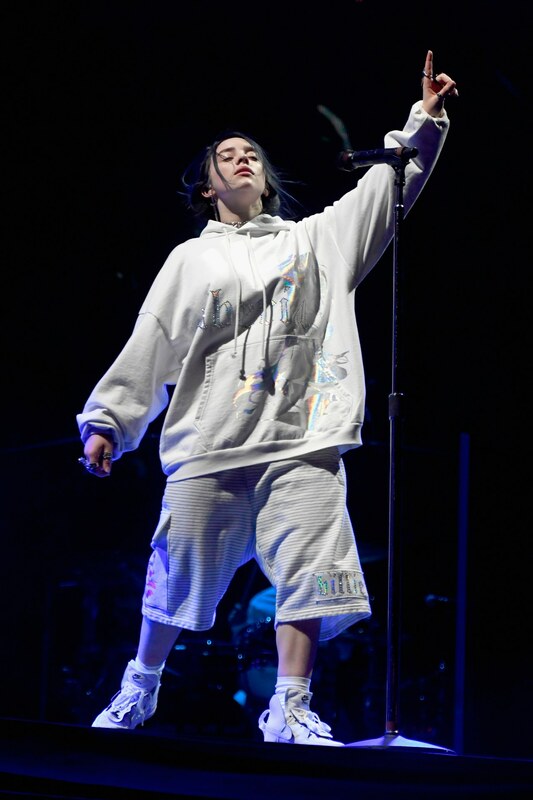 Billie Eilish’s Coachella performance was definitely one to remember. As for her outfit, the singer kept things comfortable and chic, wearing a custom white hoodie and shorts, paired with white high top sneakers and socks. Paris Hilton showed up to Coachella rocking a series of cat ears. She wore a sheer black dress with neon green embellishments, gloves, and lace-up black booties. If you don’t wear fringe at Coachella, did you even go to Coachella? The YOU star was seen wearing a black dress with cutouts and a fringe hem over a black bodysuit. 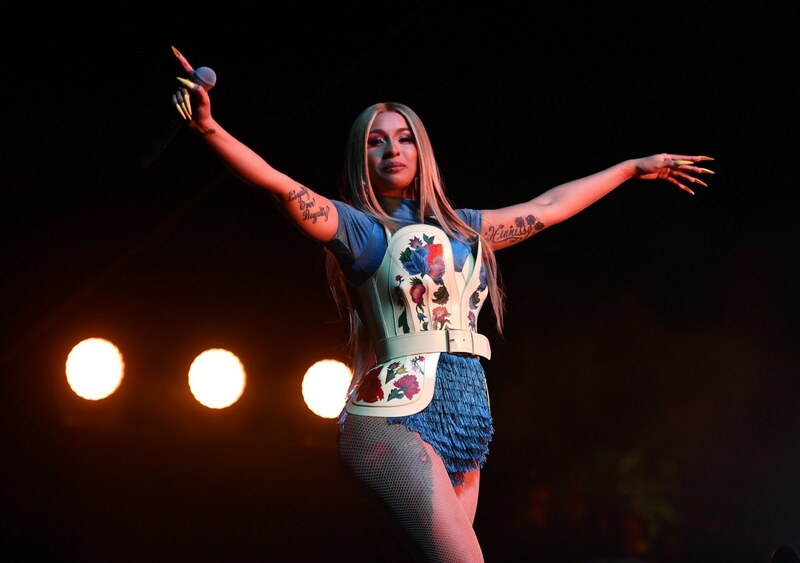 Cardi B is never the one to shy away, she stunned in a powder-blue bodysuit with fringe all along the lower half.To add to her look, Cardi wore a corset-like floral vest.